Prepare to have your notions of fairyhood debunked: Flory, our heroine, can be snarky and rough. But she's also gutsy, loyal, and inherently good. The story of how Flory must fend for herself after losing her wings brings equal doses of character and suspense – and offers a satisfying antidote to all those prissy princess tales. 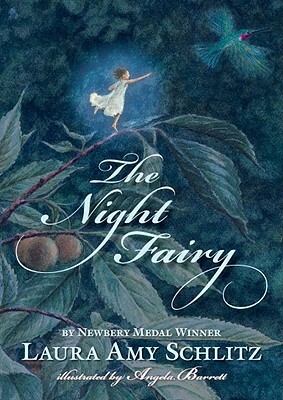 This elegant hardback’s snug size and Angela Barrett’s exquisite miniature illustrations have the effect of making readers feel as if they’ve crept through a magic portal into a fairy-scale world. Indeed, looking up at story’s end, children may be mildly surprised to find that they’re still the size they’ve always been. Laura Amy Schlitz, who took us deep into a medieval village in her Newbery Medal–winning Good Masters! Sweet Ladies!, here allows us to inhabit the fascinating miniature world where fairies dwell. Beautifully crafted. . . . Barrett’s full-color watercolor illustrations add depth and perspective to the story. Detailed and drawn to scale, they give readers a sense of just how tiny Flory is compared to the other animals. Children will enjoy looking at this garden from the perspective of the tiny but resilient protagonist. Sure to be a favorite among girls who love fairies.